May I Have the Linos USB Vinyl Record Player to Go, Please? 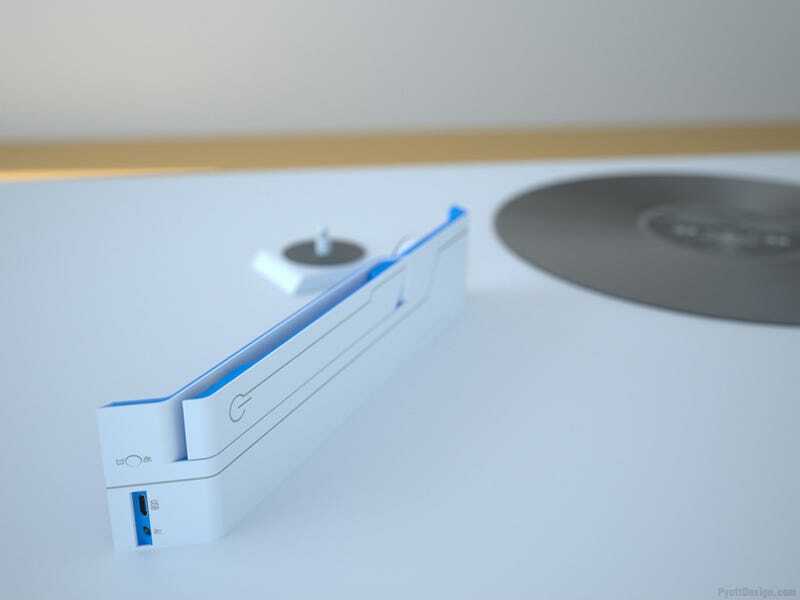 This prettyful simple bar is not a spare part from a Wipeout racer, but the Linos Portable USB vinyl record player. How does it work? Quite simply, it seems. The bar has two parts. Take out the bottom base, place the long play album or single on top, and then sandwich it with the overarching top. To start playing, move the player arm into position.